Audi Backed Part Time Scientists Take Aim at Google’s Lunar X-Prize. Announced back in 2007 Google’s Lunar X-Prize was an incredibly ambitious idea. Originally the aim was to spur the then nascent private space industry to look beyond low earth orbit, hoping to see a new lunar rover land on the moon by 2012. As with all things space though these things take time and as the deadline approached not one of the registered teams had made enough meaningful progress towards even launching a craft. That deadline now extends to the end of this year and many of the teams are much closer to actually launching something. One of them has been backed by Audi and have their sights set on more than just the basic requirements. The team, called Part Time Scientists (PTS), has designed a rover that’s being called the Audi Lunar Quattro. Whilst details are scant as to what the specifications are the rover recently made a debut at the Detroit Auto Show where a working prototype was showcased. In terms of capabilities it looks to be focused primarily on the X-Prize objectives, sporting just a single instrument pod which contains the requisite cameras. One notable feature it has is the ability to tilt its solar panels in either direction, allowing it to charge more efficiency during the lunar day. As to what else in under the hood we don’t yet know but there are a few things we can infer from what their goals are for the Audi Lunar Quattro’s mission. The Google Lunar X-Prize’s main objective is for a private company (with no more than 10% government funding) to land a rover on the moon, drive it 500m and stream the whole thing in real time back to earth in high definition. It’s likely that the large camera on the front is used for the video stream whilst the two smaller ones either side are likely stereoscopic imagers to help with driving it on the lunar surface. PTS have also stated that they want to travel to the resting site of the Lunar Roving Vehicle left behind by Apollo 17. This likely means that much of the main body of the rover is dedicated to batteries as they’ll need to move some 2.3KM in order to cover off that objective. There’s a couple other objectives they potentially could be shooting for although the relative simplicity of the rover rules out a few of them. PTS have already said they want to go for the Apollo Heritage Prize so it wouldn’t be a surprise if they went for the Heritage Prize as well. There’s the possibility they could be going for the range prize as if their rover is capable of covering half the distance then I don’t see any reason why it couldn’t do it again. The rover likely can’t get the Survival Prize as surviving a Lunar night is a tough challenge with a solar powered craft. I’d also doubt its ability to detect water as that single instrument stalk doesn’t look like it could house the appropriate instrumentation to accomplish it. One thing that PTS haven’t yet completed though, and this will be crucial to them succeeding, is locking in a launch contract. They’ve stated that they want to launch a pair of rovers in the 3rd quarter of 2017 however without a launch deal signed now I’m skeptical about whether or not this can take place. Only 2 teams competing for the Lunar X-Prize have locked in launch contracts to date and with the deadline fast approaching it’s going to get harder to find a rocket that has the required capabilities. Still it’s exciting to see the Lunar X-Prize begin to bear fruit. The initial 5 year timeline was certainly aggressive but it appears to have helped spur on numerous companies towards achieving the lofty goal. Whilst it might take another 5 years past that original deadline to fulfill it the lessons learned and technology developed along the way will prove invaluable both on the moon and back here on earth. Whilst we’re not likely to see a landing inside of this year I’m sure we’ll something the year afterwards. That’s practically tomorrow, when you’re talking in space time. Lava Tubes on the Moon Could House Massive Colonies. Establishing lunar colonies seems like the next logical step, it’s our closest celestial body after all, however it might surprise you to learn that doing that might in fact be a lot harder than establishing a similarly sized colony on Venus or Mars. Without an atmosphere to speak of our Moon’s surface is an incredibly harsh place with the full brunt of our sun’s radiation bearing down on it. That’s only half the problem too as since the day/night cycles last 2 weeks you’ll spend half your time in perpetual darkness at temperatures fast approaching absolute zero. There are ways around it however and recent research has led to some rather interesting prospects. Whilst the surface of the Moon might be unforgiving going just a little bit below the surface negates many of the more undesirable aspects. Drilling into the surface is one option however that’s incredibly resource intensive, especially when you consider that all the gear required to do said drilling would need to be sent from Earth. The alternative is to use structures that are already present on the Moon such as caverns and other natural structures. We know that these kinds of formations are already present on the Moon thanks to the high resolution imagery and gravity mapping we’ve done (the Moon’s gravity field is surprisingly non-uniform) but just how big these structures could be has remained somewhat of a mystery. Researchers at Purdue university decided to investigate just how big structures like these could be, specifically looking at how big lava tubes could get if they existed on the Moon. During its formation, which would have happened when a large object collided with the then primordial Earth, the surface of the Moon would have been ablaze with volcanic activity. However due to its much smaller size that activity has long since ceased but it would have still left behind the tell tale structures of its more tumultuous history. The researchers then modelled how big these tubes could have gotten given the conditions present on the Moon and came up with a rather intriguing discovery: they’d be huge. When you see the outcome of the research it feels like an obvious conclusion, of course they’d be bigger since there’s less gravity, but the fact that they’re an order of magnitude bigger than what we’d see on Earth is pretty astounding. The picture above gives you some sense of scale for these potential structures, able to fit several entire cities within them with an incredible amount of room to spare. Whilst using such structures as a basis for a future lunar colony presents a whole host of challenges it does open up the possibility to the Moon having much more usable space than we first thought. Just How Super is a Supermoon? It seems I can’t go too long without hearing about everyone’s favourite celestial event: the Supermoon. It’s a somewhat rare event, typically occurring once every 14 months or so, but given the amount of attention it seems to get on various news and social media sites you’d be forgiven for thinking it’s more akin to a total solar eclipse. Considering what actually happens during this event, I.E. the coincidental alignment of the moon being full whilst also being at it’s closest point on its orbit around Earth, you wouldn’t expect there to be much interest in it but everyone seems to be wowed at just how huge the moon appears when this happens. Problem is though that it’s not that much bigger at all. 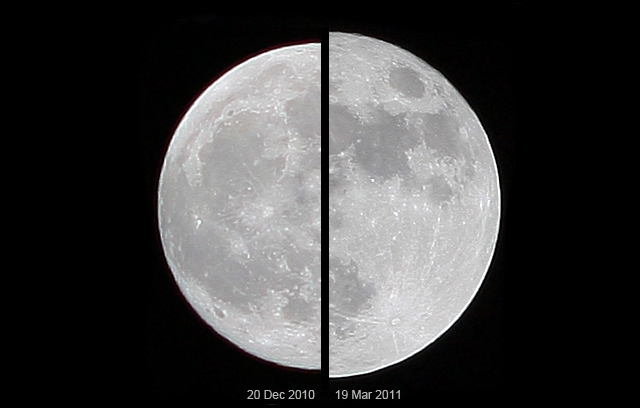 As you can see the supermoon on the right hand side isn’t really that much bigger than the more regular moon on the left. Indeed if I could somehow show you both of them in the sky at the same time you probably wouldn’t be able to tell the difference between them. Still come tomorrow morning I’m sure there’ll be dozens of pictures showing the moon in all of its super glory, towering over buildings and dwarfing every other source of light in the night sky. So the question is then where do all these pictures come from and why is the moon so gosh darn huge in them. The answer is somewhat complicated, and we don’t have an exact answer for it yet, but it comes down to something we’ve dubbed the Moon Illusion. Essentially any stellar object in our sky, be it the moon, sun or even stars, will increase in apparent size the closer it is to the horizon. All those amazing pictures you’ll see of supermoons around the globe tomorrow will likely be taken when the moon is rising when this effect is at its most pronounced. This makes the moon appear much, much bigger than it would normally but over the course of it’s full rotation it’ll begin shrinking back down to a more reasonable size. This is why you don’t see any pictures of it up in the middle of the sky, it just doesn’t look as massive as it would otherwise. Photographers are also somewhat guilty of exacerbating the moon’s super-ness during this time by using telephoto lenses that compress the visual space significantly, often putting other objects near or in front of it to make it appear much bigger than it would with your eyes. Don’t get me wrong it makes for a stunning picture but it also feeds into the idea that the moon appears that huge at all points in the sky. The reality is unfortunately nothing like that. I know I’m probably being a killjoy for some people mentioning this but honestly things like this fall into the same realms as those claiming we’d have 2 moons when Mars was at its closest approach to Earth. Sure it’ll be bigger than it would be otherwise but the effect is usually beyond our ability to perceive and the photos just give a false impression of what a supermoon actually is. To be fair though the term supermoon isn’t a scientific term at all (it comes from astrology) so I guess I shouldn’t be too surprised about the smoke and mirrors that surrounds it. Our Moon is a Softy at Heart. The moon is a barren and desolate place. The face which every human on Earth has stared at for centuries was shaped long ago by the innumerable impacts that peppered its surface. This is in stark contrast to say the surface of planets (or even some other moons) whose surfaces have been shaped through volcanic or tectonic means. This lack of surface activity is what led us to believe that the Moon was dead, a solid ball of rock that solidified many billions of years ago. However recent studies have shown that the Moon might not be as dead as we first thought with its center being not unlike that of our own Earth. Data from the Selenological and Engineering Explorer (SELENE or Kaguya as it’s known to JAXA), as well as information gleaned from other missions, was used to model the Moon’s interior at different levels. We’ve known the rough structure of the Moon’s interior for some time now, ever since the astronauts on the Apollo missions deployed seismometers, however we never had much insight into the viscosity of those layers or whether or not the core was molten. This research shows that the mantle actually has 2 sections, the upper layer with a high viscosity and a lower layer that’s low viscosity. This would then suggest that there’s a source of heat in the Moon’s core that’s causing the lower mantle to become more liquid, indicating that the Moon’s core is likely molten. Since the Moon is much smaller than Earth the processes that keep our core molten aren’t likely to have as much of an effect which is why it was long thought to be dead. However it appears that tidal forces, the same things that responsible for warping and shaping the moons around other planets, is what is responsible for causing the heating in the Moon’s core. In all honesty I didn’t think Earth would have the mass required to exert a strong enough tidal force to do that, we’re not exactly sitting on a gas giant, however it appears that Earth has sufficient mass to accomplish this. Whilst this won’t be fueling the next revolution in space exploration it does open up some interesting possibilities for future expeditions to our celestial sister. Having some kind of temperature gradient opens up the possibilities of using that heat for useful work on the Moon’s surface from things like power generation to good old fashioned heating. Of course the challenge of drilling a couple kilometers into the lunar surface in order to do this is an exercise I’ll have to leave up to the reader but it’s at least an option instead of a science fiction fantasy now. 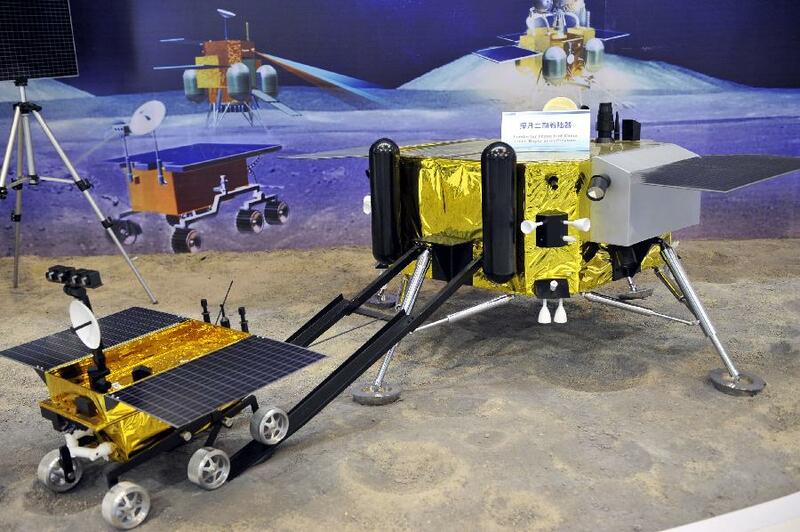 Chang’e 3 Launches: China’s First Luna Rover. For a country that was barred from ever working with the leader in space technology the progress China has made in the last decade has been incredibly impressive. They’ve quickly gone from humble beginnings in 2003 where their first taikonaut made it into orbit to a fully fledged space station in 2013, showing that they have the technical expertise required to consistently attempt envelope pushing activities. Of course whilst the most interesting aspect of any space program is the manned activities (who doesn’t love seeing people in space!) there’s always the quiet sibling in the robotics departments, attempting missions that few humans will be able to attempt. I must admit that until today I was also ignorant of China’s robotic efforts in space but suffice to say they’re just as impressive as their human based accomplishments. China’s Chang’e program (the name of the Chinese Goddess of the Moon) is a series of lunar spacecraft tasked with creating highly detailed maps and models of the Moon’s surface with the intent that that data will be used for future manned missions. Chang’e 1 was launched back in 2007 and remained in lunar orbit for 2 years. It created the most accurate and detailed sufrace map of the moon to date and, once it was done, plummeted into the surface it just mapped to send up a spray of regolith that could be studied from here on Earth. It’s successor, Chang’e 2, was launched in 2010 and had similar capability (albeit with higher resolution instruments and a lower orbit) but instead of being plunged into the moon at the end of its mission it was instead sent out to do a flyby of asteroid 4179 Toutatis. Its current trajectory will eventually see it hit interstellar space however its likely it’ll run out of fuel long before that happens and the purpose of the extend mission is to validate China’s Deep Space Tracking network. Chang’e 3, launched just yesterday, will be the first craft China has ever launched that will land on the Moon’s surface. For a first attempt it’s a fairly ambitious little project consisting of both a lander and a rover, whereas similar missions usually go for a lander first prior to attempting a rover. The lander is an interesting piece of equipment as it contains a RTG as a power source as well as an ultra-violet telescope, making it the first luna based observatory. Whilst it won’t be anything like the Hubble or similar space telescopes it will still be able to do some solid science thanks to its location and it makes the lander’s useful life much longer than it typically would be. The rover is just as interesting, being roughly equivalent to the Mars Exploration Rovers (Spirit and Opportunity) in terms of size and weight. It can provide real time video back to Earth and has sample analysis tools on board. The most important instrument it carriers however is a radar on its base allowing it to probe the lunar surface in a level of detail that hasn’t been done before, giving us insights into the make up of the regolith and the crust beneath it. It will be interesting to see what its longevity will be like as its power source is its solar panels (unlike its parent lander) and the lack of atmosphere should mean they’ll remain clean for the forseeable future. As of right now there’s another 2 more missions in the Chang’e line both of which have similar capabilities with the exception of Chang’e 5 which will be a lunar sample return mission. After that it’s expected that China will start to eye off manned lunar missions, starting with the traditional flag planting operations and then quickly escalating to a fully fledged moon base not long after. It’s quite possible that they’ll accomplish that within the next 2 decades as well as their past accomplishments show how quickly they can churn out envelope pushing missions, something that other space fairing nations have been lacking as of late. Whilst it might not be of the same heights we saw during the cold war there’s definitely another space race starting to heat up, although this time it’s between the private space industry and China. Whilst it’s likely that China will win the race to the Moon and possibly Mars I can’t help but feel that the private industry isn’t too far behind. Heck, combine Bigelow Aerospace and SpaceX and you’ve already got the majority of the Chinese manned program right there! Still this does not detract from the accomplishments the Chinese have made and I only hope that eventually the USA changes its stance on co-operating with them. 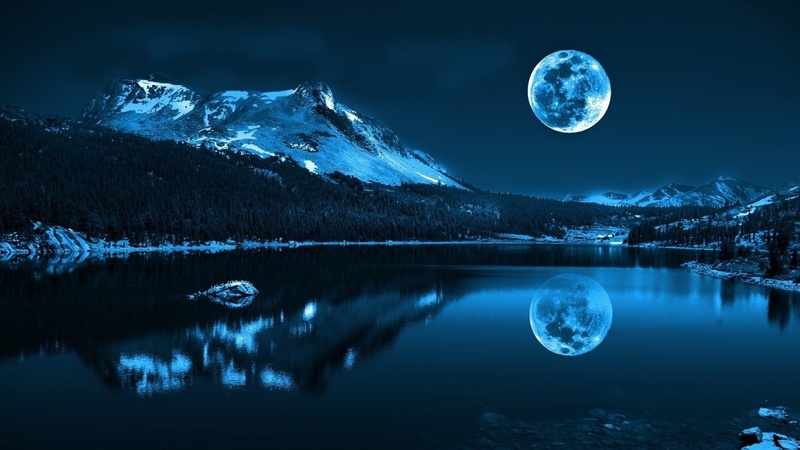 What Water On The Moon Means For Space Exploration. The moon is our closest celestial neighbour and as a consequence is by far one of the most studied celestial bodies. By all accounts it’s a barren wasteland, covered in numerous pot marks from the asteroids that have bombarded it over its lifetime. However the more we investigate it the more we find out that, whilst there’s almost no chance of life being present there, many of the resources that life depends on can be found there. 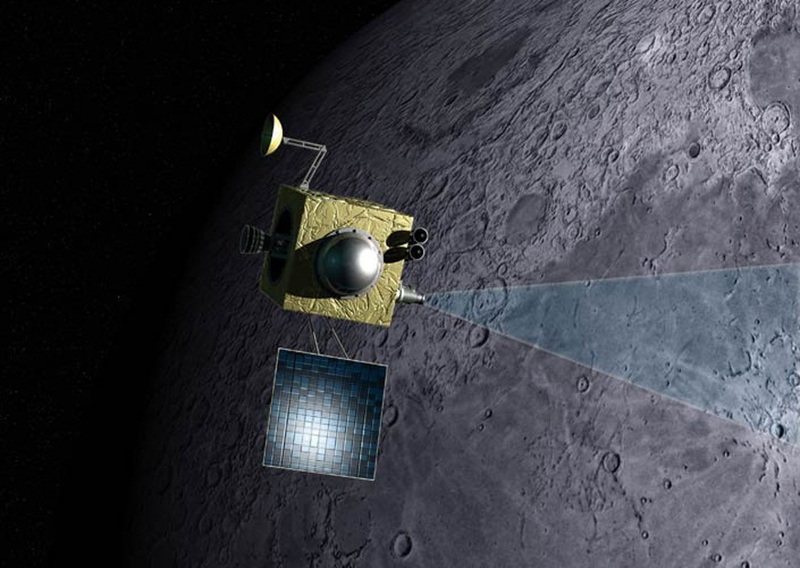 Whilst we’ve known for a while that it would be possible to extract water from the regolith on the surface new observations from NASA’s Moon Mineralogy Mapper instrument aboard India’s Chandrayaan-1 have revealed that there might be actual water on the Moon, just waiting there for us to use. The initial implications of this are obvious. Water is one of the fundamental resources required for any human based space mission and the amount required usually has to be brought along for the ride. This means the payload capacity used for bringing water along can’t be used for other things, like additional supplies or more equipment, and presents a big challenge for long duration flights. Having a source on the Moon means that any potential bases or colonies established there would have much less reliance on resupply missions from Earth, something which is the primary limiting factor for any off-world colonies that we attempt to establish. However that pales in comparison when compared to what water on the Moon means for space in general: it’s a primary component for rocket fuel. Water’s basic composition is hydrogen and oxygen which are the components which power many of the liquid fuelled rocket engines that operate today. Of course in their bonded state they’re not a ready to use propellent exactly so a process is required to break those bonds and get those atoms separated. Thankfully such a process exists, called electrolysis, which splits water down into its component gasses which can then be stored and later used to send rockets on their way. Of course such a process relies on a stable power source which would likely be some like of large solar array backed up by a large battery bank to last through the 2 week long darkness that regularly blankets half the surface. The biggest challenge that many of the long duration or large payload missions face is the fact that they require more fuel. Carrying more fuel unfortunately also means carry more fuel and there’s points of diminishing returns where you’re spending far too much fuel just to get yourself out of our gravity well. Having a refuelling station or the Moon (or, even better, constructing and launch payloads from there) would mean that we would put larger payloads into space and then push them to the outer reaches of the solar system without having to waste as much fuel to get ourselves out of Earth’s gravitational influence. Of course seeing this kind of technology implemented is some ways off as it seems like NASA’s next target will be a flag planting mission on Mars. Such technology would be quite applicable to Mars as well seeing as the soil there has a lot of trapped water (and there’s plentiful water ice pretty much everywhere but the equatorial region) but it’d be far more valuable if it was implemented on the moon. In either case I believe this is foundational technology that will be pivotal in humanity pushing itself to the far reaches of our own solar system and, maybe one day, beyond. Moon Sand (Contains No Actual Moon). I’m sure I’m not alone in being someone who loves playing around in the sand at a beach even though I’m pushing 30. My friends and I always seem to end up building some kind of sand castle whenever we all make our way down there even though we usually have no intention of doing so. There’s probably some nostalgia at work there, I mean almost everyone has great memories of playing the sand as a child, but I’ve also been told it’s actually quite therapeutic something a cursory stroll through Wikipedia appears to verify. However bringing the beach with you is usually frowned upon (What do you mean I can’t make sand castles on the carpet??) but it seems like there’s a pretty awesome substitute in the form of Moon Sand. It’s a pretty awesome substance, one that’s been around for some time from what I can gather, as it emulates the properties of wet sand pretty well without requiring water. I haven’t been able to track down the exact polymer that they use (confusingly the hydrophobic sand I blogged about also carries the name moon sand) but it seems a workable substitute can be made with good old fashioned corn starch. That does require water however which leads me to believe that the polymer they use has some non-Newtonian properties to it as that’s exactly what you get when you mix corn starch and water. If I could find the exact polymer they’re using (searching for non-toxic non-Newtonian polymers didn’t give me any viable leads) so if you happen to know what it is I’d be keen to hear from you. One of the interesting points that came up in my research to this is people wondering whether or not this would be anything like real moon sand. Strangely enough the surface of the moon is coated in a layer of what you could classify as sand but it’s formed quite differently and it’s called regolith. Sand on earth is made by rock being slowly eroded away, typically by some form of moving water. Regolith on the other hand has rather violent origins with its primary mode of creation being through impacts on the surface by meteors. That’s why you don’t have regolith on earth as the amount of impacts required to generate it simply don’t happen (thankfully) due to our atmosphere. The moon on the other hand isn’t so lucky and gets bombarded constantly with generates the layer of dust upon it. However that regolith isn’t composed of worn particles like sand is, instead the base structures are typically jagged and this actually became an issue with the early sample return missions to the moon. Those jagged particles stick to everything they and actually punctured the vacuum membrane on the sample return jars, contaminating them. More interesting still is that regolith appears to be highly reactive as Armstrong and Aldrin (and many other astronauts) reported smelling gunpowder after completing their moon walks something that wasn’t reported by scientists studying the samples back home. Moon Sand by comparison is quite inert and not at all abrasive. Now I just need an excuse to buy some of this. I mean it’d be completely normal for a near 30 year old to do this, right? The Moon: From Birth to Present Day.